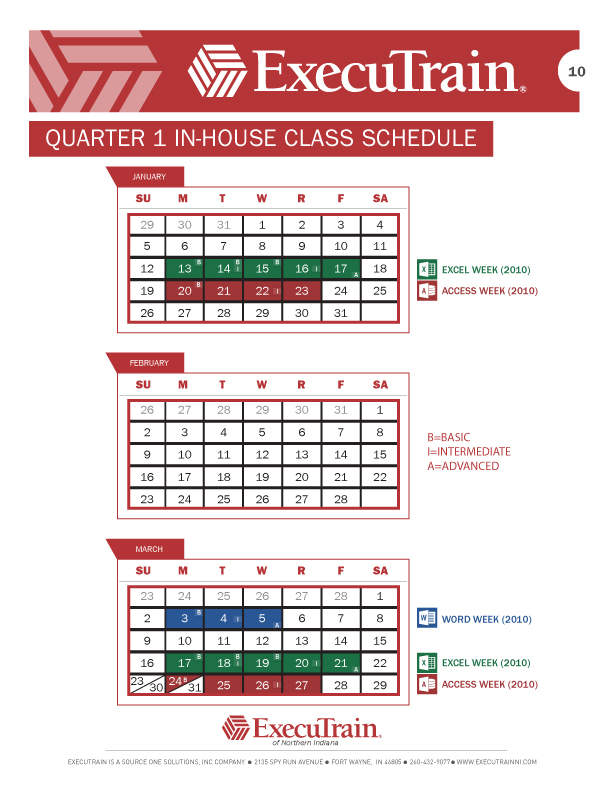 Here is the 2014 First Quarter Class Schedule for in-house classes. As you can see, our new class format is set to launch for the 2014 calendar year. Find one of our pre-scheduled classes that fits your schedule and save big on enrollment prices. Remember, you can take any class we offer at any time, by signing up and selecting the “Custom Training Option” from the drop down menu. This will allow you to set your own date for your training course. Quarter 1 features the popular Microsoft Office classes in January AND March at special in-house class pricing. Are you an advanced planner? To view the entire 2014 Yearly Schedule for classes, simply check out our 2014 Course Catalog document posted on the home page, OR follow this link.